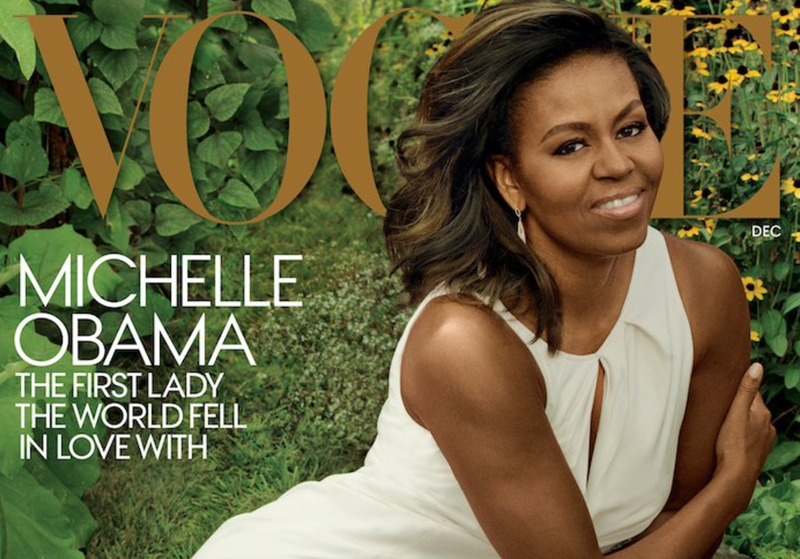 Michelle Obama, as photographed by the legendary Annie Leibovitz, appears on the December issue of Vogue magazine. The first lady, in the waning days of her husband’s presidency, has been making a farewell tour since about mid-summer. In addition to the always captivating visual portraits captured by Leibovitz, writer Jonathan Van Meter handles painting the verbal portrait of Obama as she closes out her final few months in the White House. He talked to numerous people on her staff and President Obama to draw a picture of who the nation has come to know these last eight years — “America’s conscience, role model, and mother in chief” — but no one can quite capture who she is better than the woman herself, in her own words. And those words provide the most insightful portions of the profile — particularly when Van Meter asked Obama to reflect on the end of this chapter of her life.